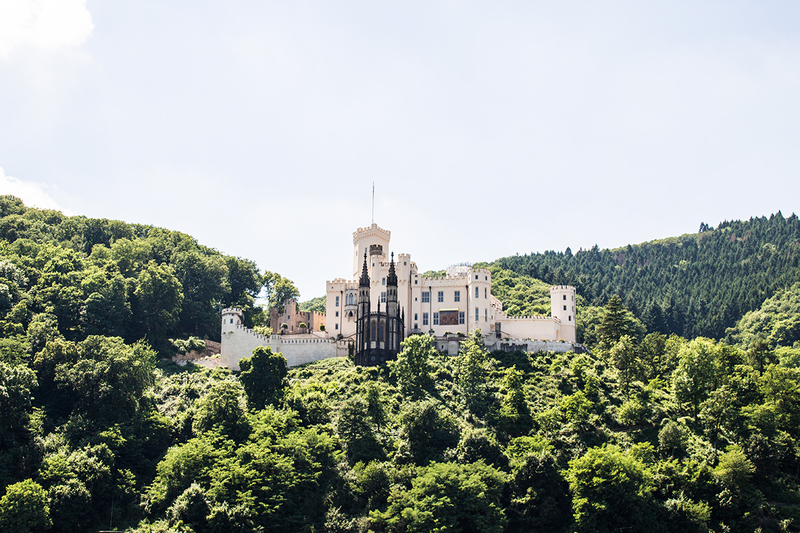 After we left Brussels, we took a train to Koblenz, Germany - this was a short stop for us until we made it to Bacharach, Germany where we stayed two nights. 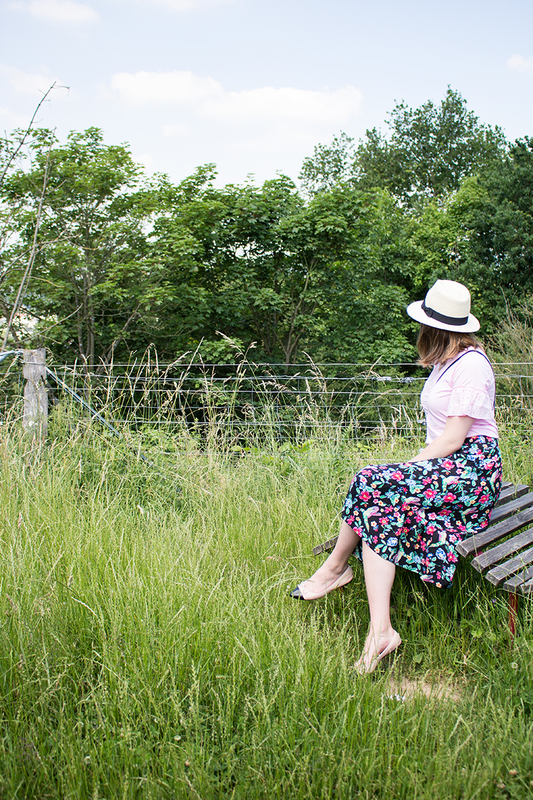 We were taking a boat down the Rhine River that ported in Koblenz so we had a few hours to kill before our boat left. 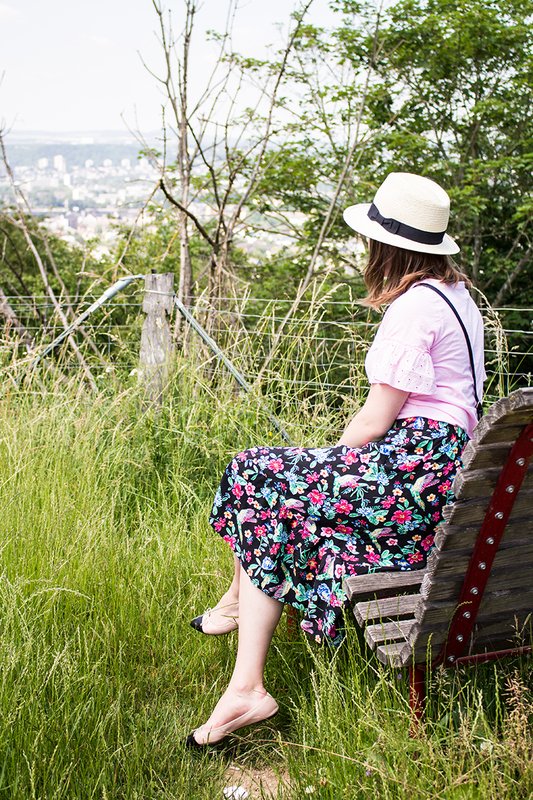 We decided to take the Koblenz Cable Car up to the Ehrenbreitstein Fortress and do a little exploring. 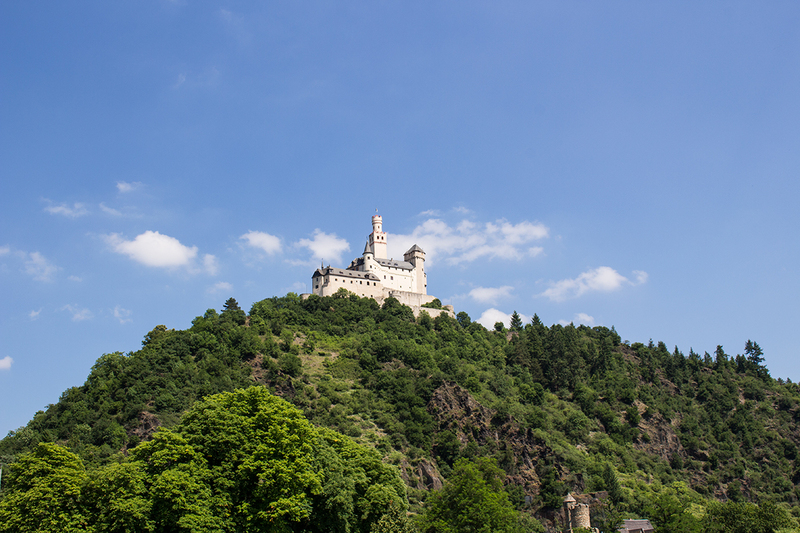 The fortress sits atop a large hill overlooking where the Rhine and Mosell rivers meets - and it's quite a spectacular view. 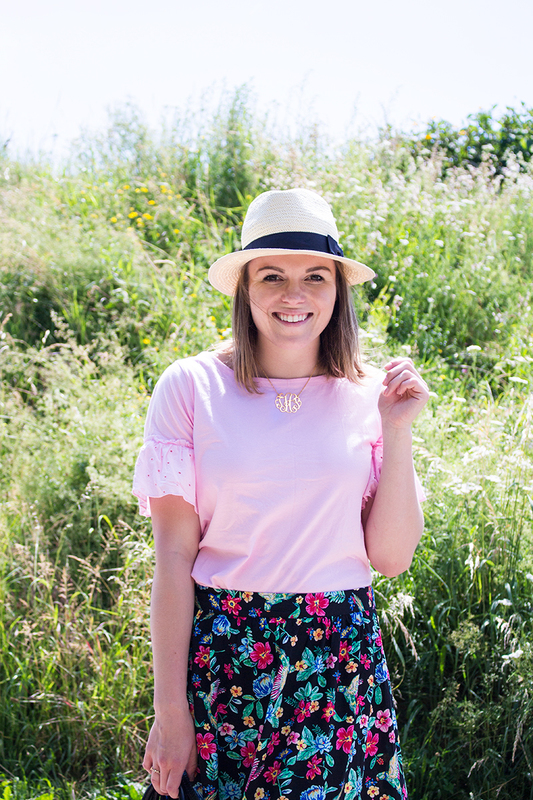 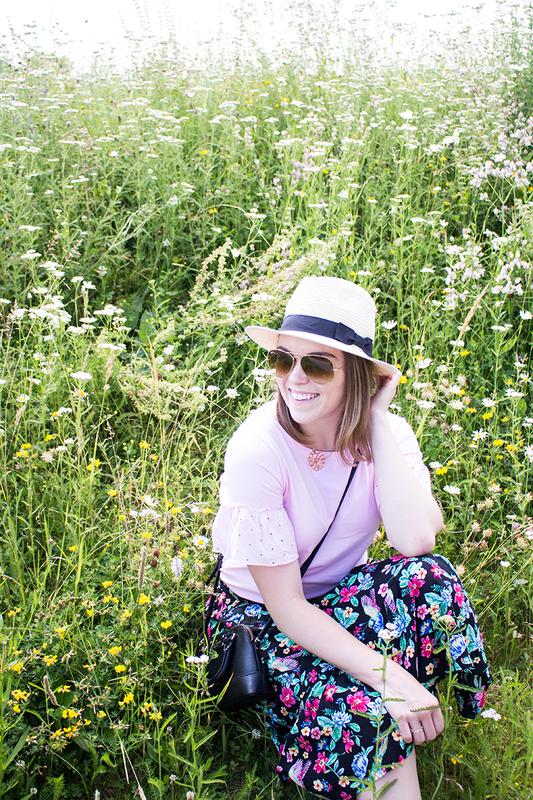 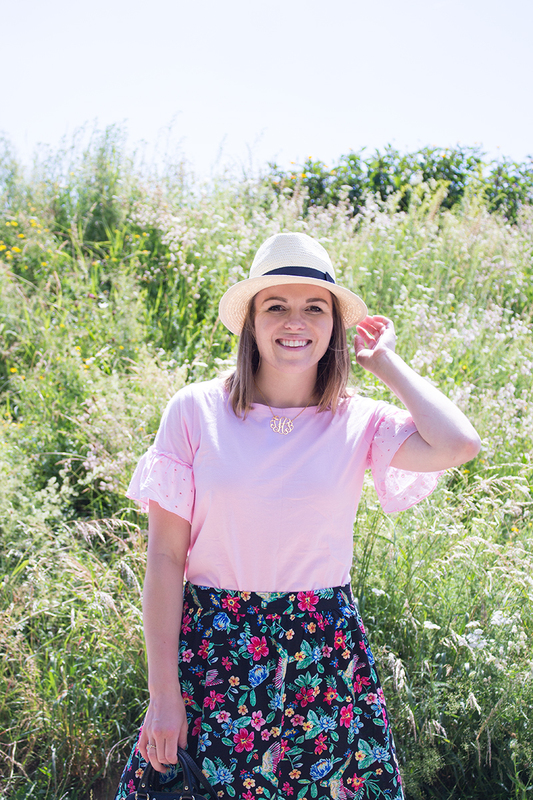 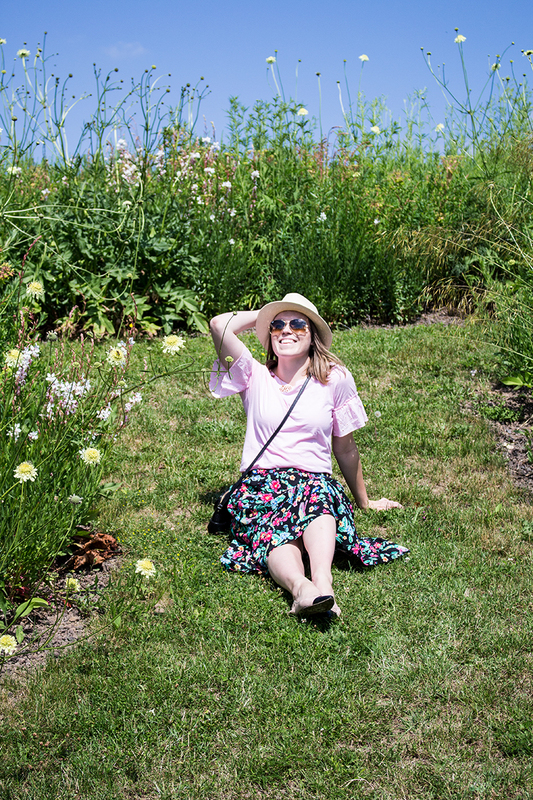 we lucked out with some beautiful weather during our time in Germany, I decided to wear this new Old Navy Floral skirt to keep me cool (and also because I had a hunch it would match the scenery)!